Lara Croft is coming to London - Don't miss this one out! In 2004, Microgaming introduced the first ever branded slot to the iGaming industry. And Fifteen years later, the company will mark the occasion in style. 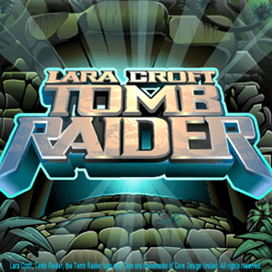 In fact, recently they announced yet another sequel to the famous Lara Croft Series. Indeed, Triple Edge Studios, an independent company, is currently working on the new game! All and all, the project with Square Enix, (The Lara Croft, brand owner) is the longest deal in the industry. In fact, after the success of the first game in 2004, Microgaming released a sequel 4 years later. Indeed, in 2008 Tomb Raider, Secret of the Sword landed in online casinos across Britain. Back then the game invited players to spin the reels and to find fragments of a legendary sword. And yet even if this slot is 11 years old, the adventure still appeals to many players. Indeed, Lara Croft represents one of the most iconic characters in popular culture. In fact, ever since the first video-game was released in 1996, the female heroin sold over 67 million units. What’s more is that the popularity of the Lara Croft video slot is unprecedented in online casinos. For now, Microgaming has not given an official date when the new game will land across Britain. However, the game provider said they’re happy to give a sneak peek to everyone who’ll visit their stand at London ICE in February!